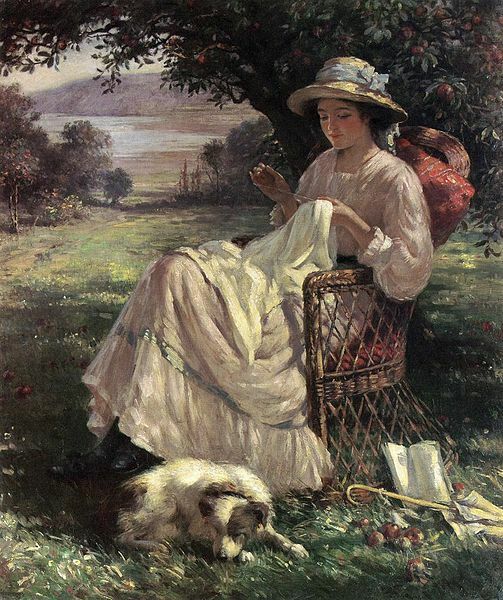 Besides the great patterns it also has quotes and poems relating to sewing, knitting and crochet. This one poem in particular expresses for me what women through the ages have felt is the joy of hand crafts. While I stitched up a heartache And mended my dreams. While I’ve worked in new hopes And a sweeter content. I had sought and found comfort with needle and thread. The holy grail of knitting! How exciting! Yes, it felt like that for me! I am so excited about all the possibilities. The irony is that price I paid for it will not even buy you one sweet. I will be posting some of the patterns.